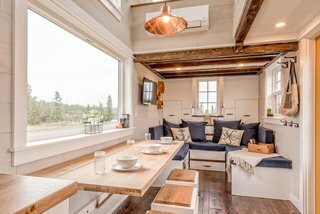 Strategically designed by Canadian tiny home builders Summit Tiny Homes, The West Coast is a 375-square-foot tiny house sited on Vancouver Island in British Columbia for a young family of four. 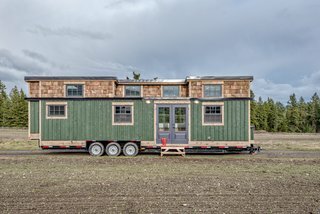 Featuring a double-door entry, as well as a hidden, mechanical slide-out, the striking abode also has a unique exterior facade of wooden shingles and green-stained siding—inspired by homes in the Pacific Northwest. The living area, bathroom, and kitchen are located on the main floor. 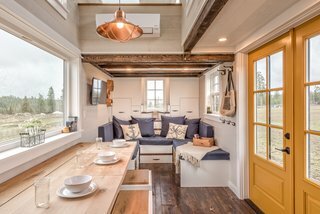 Two loft bedrooms occupy the upper level. 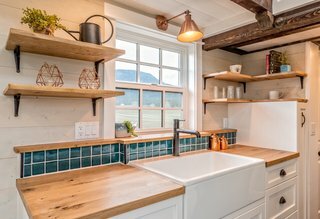 Inside, custom hardwood floors, whitewashed walls, and stained beams and trimmings allow the house to feel bright, warm, and modern, all with a splash of rustic charm. The Timor Perpetual Desk Calendar was designed in 1967 by Enzo Mari, and has remained in production by Danese Milano since its launch. 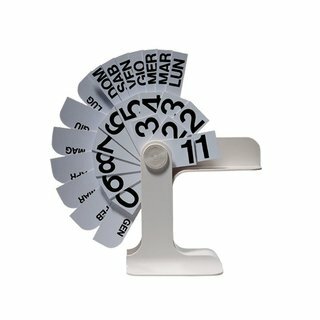 The cleverly designed calendar is designed for tabletop or desk placement, and includes rotating cards that include the date, month, and day of the week. Your all-purpose carryall. 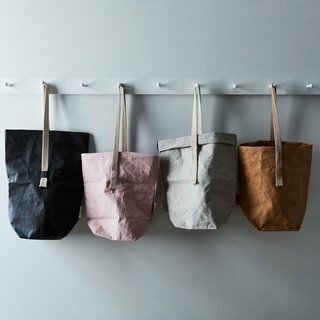 No matter how many bags we’ve got laying around, it feels like we’re always on the search for that one, perfect carryall to sling over a shoulder and take on a quick trip to the corner store, farmers market, or the beach. 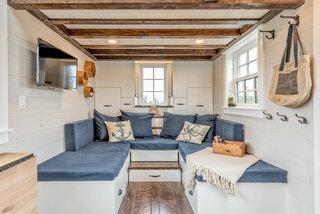 In the living area is a U-shaped, multi-use couch that can be easily turned into a guest bed when needed. Behind the couch is a split staircase—with plenty of hidden storage built inside—that leads up to the kids' sleeping loft. The upper level also consists of a master loft, which includes a bed and a small work space. 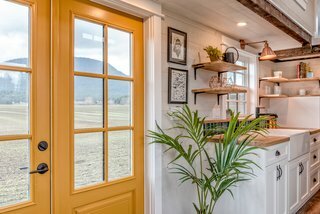 The home boasts a cheery yellow entrance door. In the dining area is a custom-built oak table that can be folded up and down in three different sections. The ladder to the loft can be slid to the side when not in use. 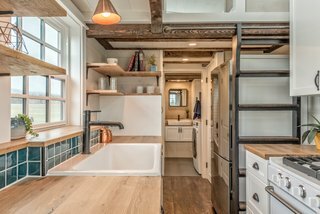 Just beyond the kitchen is a built-in "his and her" wardrobe with plenty of drawers and hanging space, followed by a bathroom that features a fully tiled bath and shower. 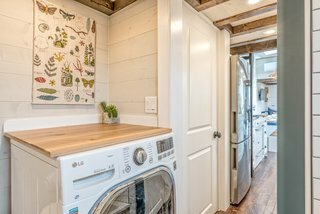 The built-in bathroom sink and vanity have also been designed with plenty of storage space, and includes a Separett Villa compost toilet that is placed next to the large washer-dryer unit. A peek at the dining bar. 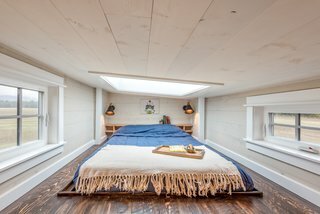 At night, the owners can look up at the stars through the skylight in the lofted bedroom area. The dining table can be folded in three sections for different uses. The wooden worktop creates additional usable table space above the washing machine. 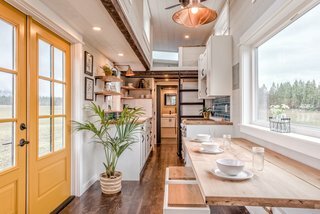 The kitchen is fitted with oak countertops, a farm sink, white cabinetry, a green tile backsplash, an LG 28-inch fridge, a 24-inch kitchen stove by Unique Off-grid Appliances, and a range hood.